There’s a class of luxury midsize cars that caters to the demands of a loyal fan base and the models of both Mercedes-Benz and Jaguar deliver. We’re honing our razor sharp focus on the 2018 Mercedes-Benz E-Class vs 2019 Jaguar XF, to task ourselves with the impossible chore of picking a winner between the two. Sure it’s a tough job but someone’s got to do it and we’re up for the challenge. Enjoy this comparison of the 2018 Mercedes-Benz E-Class vs 2019 Jaguar XF. We’ll get started by approaching the performance of the Mercedes-Benz and the Jaguar side-by-side. The 2018 Mercedes-Benz E-Class can still bring the noise. The standard engines in the sedan and coupe feel quick, and the two performance-oriented models can really hustle. 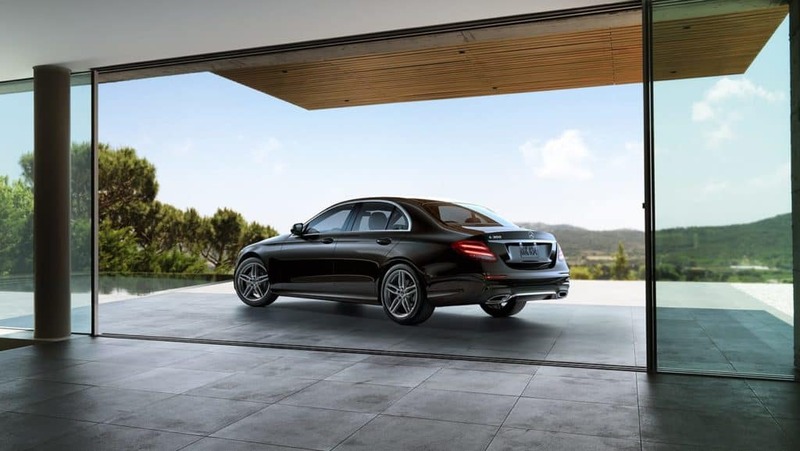 The ride is cushioned, and the E-Class lets you take corners with confidence. 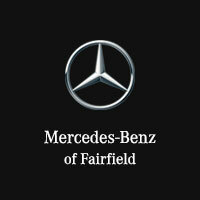 The Mercedes-Benz E 300 sedan is powered by a 241-horsepower turbocharged 2.0-liter four-cylinder engine. A nine-speed automatic transmission comes standard. Some base engines aren’t worth your time, but that’s not the case here. It has plenty of power for driving around town or on the highway, and it feels relatively quick from the driver’s seat. 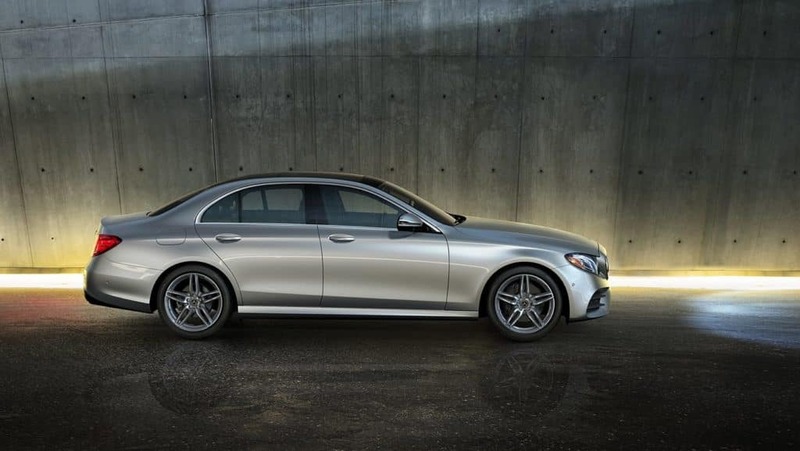 The E-Class provides sharp steering and has the chops for confident cornering. There’s little body lean, and the ride is smooth. You can also choose between five driving modes that tune the ride more for comfort or performance, depending on your preference. The 2019 Jaguar XF offers plenty of variety throughout its engine lineup. There are capable turbocharged four-cylinders, an energetic V6, and a fuel-efficient turbodiesel. This midsize sedan delivers a smooth ride, and it handles well even over rough pavement. The tires provide plenty of road grip, and the car feels balanced around turns. The XF comes standard with a turbocharged 2.0-liter four-cylinder engine that produces 247 horsepower. It’s mated to an eight-speed automatic transmission. This engine works fine for daily driving, and many buyers will find it sufficient. A few other engines are available: a 2.0-liter turbo-four that puts out 296 horsepower, a 2.0-liter four-cylinder turbodiesel that makes 180 horsepower, and a supercharged 3.0-liter V6 that puts out 380 horsepower. The 2018 Mercedes-Benz E-Class is absolutely top-notch inside. You’ll love the stylish design, and the quality of materials is second to none. The well-shaped front seats provide all-day support and comfort, it’s a terrific place to spend time. There are more tech features than you’ll know what to do with, including more than a dozen active safety features. Standard features in the E-Class include a power sunroof (except in convertible models), dual-zone automatic climate control, push-button start, remote start, driver drowsiness monitoring, crosswind assist, and active brake assist. Mercedes-Benz COMMAND® infotainment system, which is standard, features a 12.3-inch display, voice controls, steering wheel-mounted controls, navigation, *Bluetooth®, a Wi-Fi hot spot, Android Auto, Apple CarPlay, and two USB ports. The COMMAND® infotainment system is easy to use and the displays are easy to see from the driver’s seat. The E-Class’ litany of active safety features – including driver drowsiness monitoring and crosswind assist – aren’t found in many rivals. The 2019 Jaguar XF looks the part inside. The attractive cabin leaves you swimming in premium materials, and there are lots of customizable styling options. Up front, the seats are excellent and provide plenty of support. However, some rivals offer more high-end seating options, such as massaging seats. Standard features in the XF include dual-zone automatic climate control, push-button start, a rearview camera, emergency brake assist, and the InControl Touch infotainment system with a 10-inch touch screen (8-inch in Sportbrake models), an 11-speaker Meridian sound system, *Bluetooth®, and HD Radio. Available features include navigation, a 17-speaker Meridian surround-sound system, a Wi-Fi hot spot, and quad-zone automatic climate control. The InControl system is user-friendly overall, and there are redundant physical controls for audio and climate functions. However, the system trails the competition in some areas like navigation and smartphone connectivity. The 2018 Mercedes-Benz E-Class is one of the highest-rated luxury midsize cars. It has a lineup of powerful turbocharged engines, poised handling, and a comfortable ride quality. You can also argue that it has the nicest interior in the class. There are few features and technologies that the E-Class doesn’t offer, and the seats provide all-day comfort. 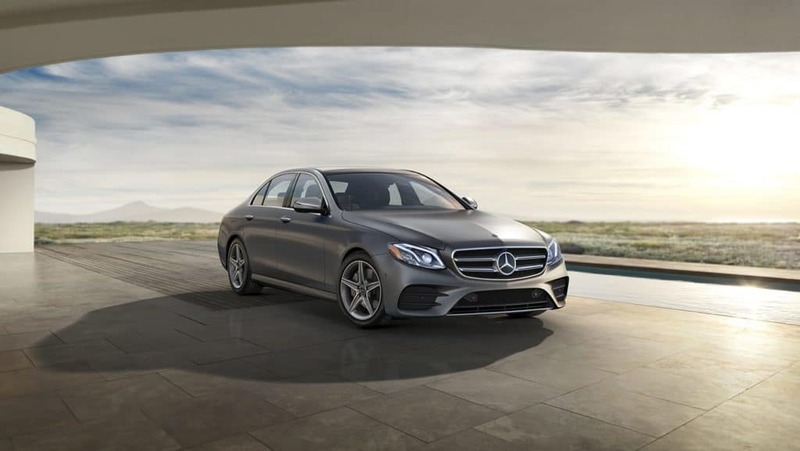 Because of its wealth of amenities, perfect safety scores, and general praise from automotive critics, the Mercedes-Benz E-Class qualifies as an excellent car. It’s worth a look for every luxury midsize car shopper. The 2019 Jaguar XF finishes in the bottom half of the luxury midsize car rankings. It’s powerful and stylish, but it doesn’t quite have the overall excellence of many of its classmates. It’s comfortable and more fun to drive than some class rivals. This Jaguar also scores well in some practical areas like fuel economy as well as passenger and cargo space. However, the XF’s ranking suffers because there are competitors that surpass the Jaguar in most areas. Even in its strong suits, the XF doesn’t rank among the class leaders for many categories.